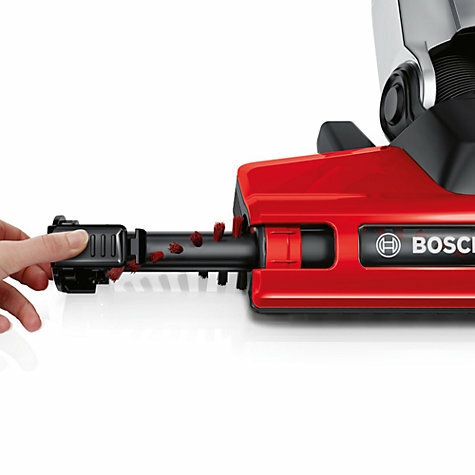 Turn the chore of cleaning into a pleasure with the Bosch Athlet cordless vacuum cleaner. This incredibly lightweight and slim model offers excellent handling and versatility, allowing you to take the Athlet upstairs and downstairs with ease. 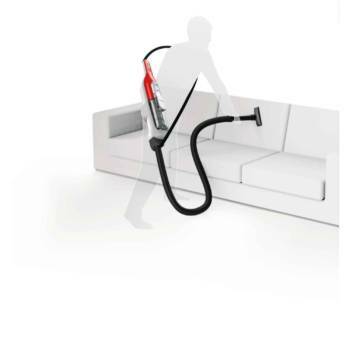 It even cleans when laid flat to reach hidden corners under sofas, cupboards and cabinets. 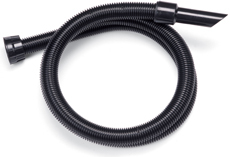 And, because it’s cordless, there’s no cable to hinder you. 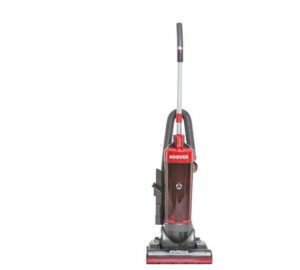 The Bosch Athlet vacuum boasts a motorised AllFloor HighPower Brush that works at approximately 5000 revolutions per minute to ensure maximum cleaning results across all floor types. 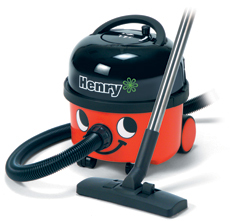 It’s a bag-less model too which means there’s no hidden follow up costs having to buy dustbags – simply empty the container and wash the filer on a regular basis to ensure optimum performance. 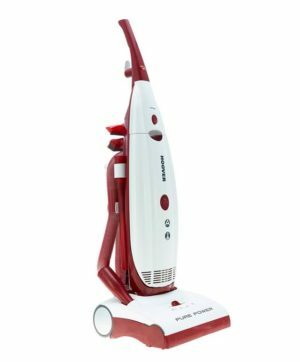 The built-in Lithium-Ion battery provides up to 60 minutes of run time from a single charge, giving you plenty of time to thoroughly clean the whole house. 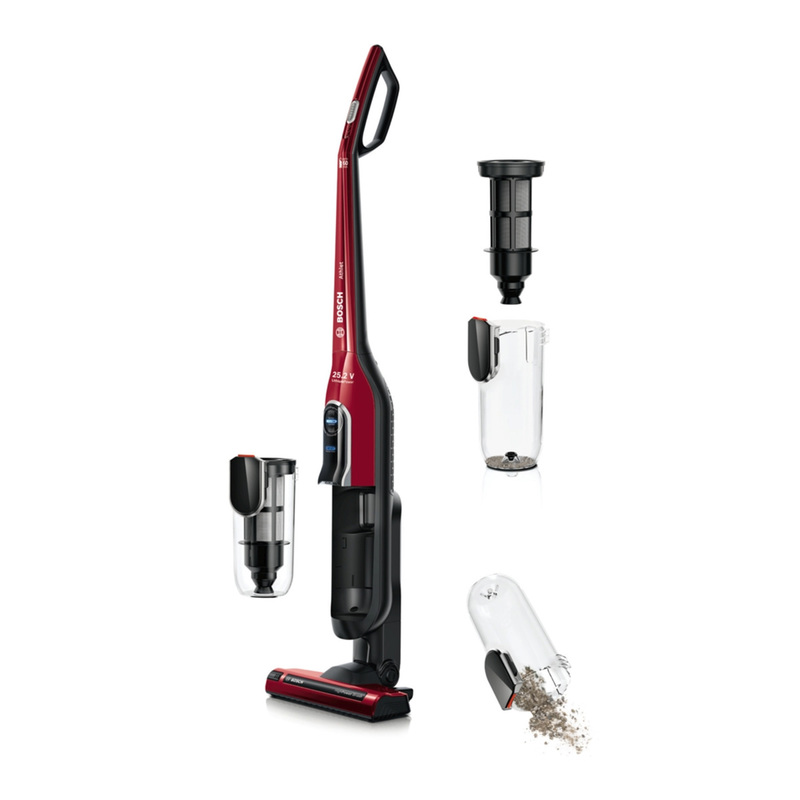 This Bosch model comes with a range of accessories included to suit your cleaning requirements. 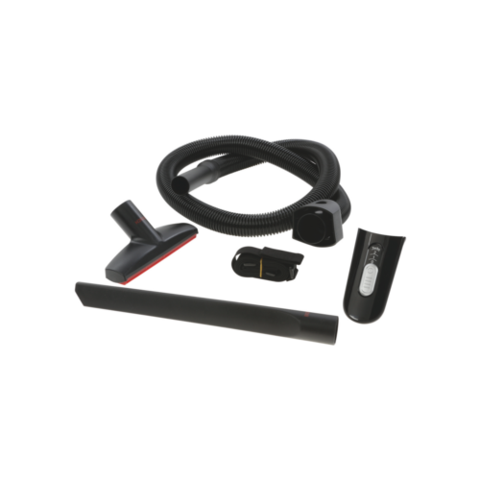 The kit includes a shoulder strap, flexible hose, upholstery and crevice nozzles.